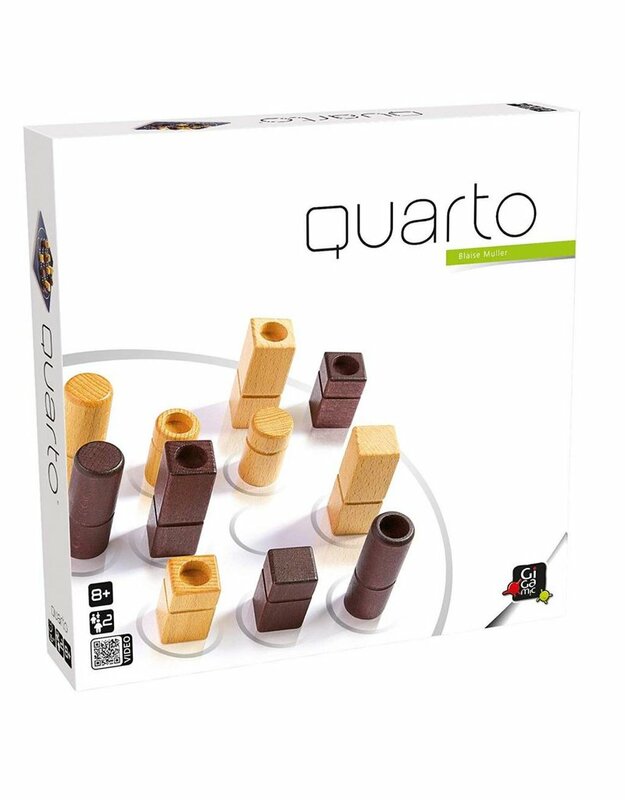 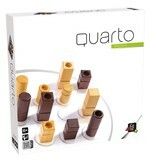 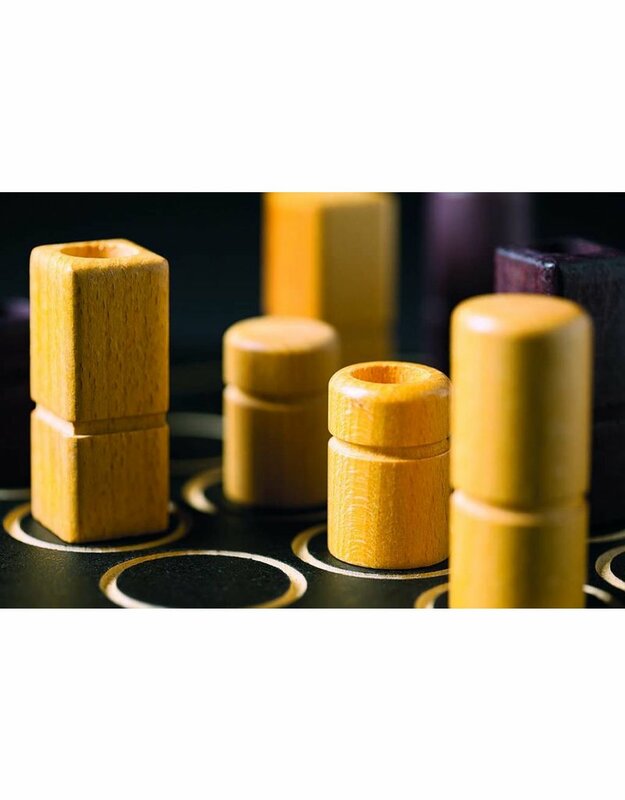 Quarto has a 4×4 board and 16 unique wooden pieces. 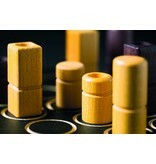 Each piece has four attributes – each piece is either black or white, tall or short, square or round, and hollow or solid. 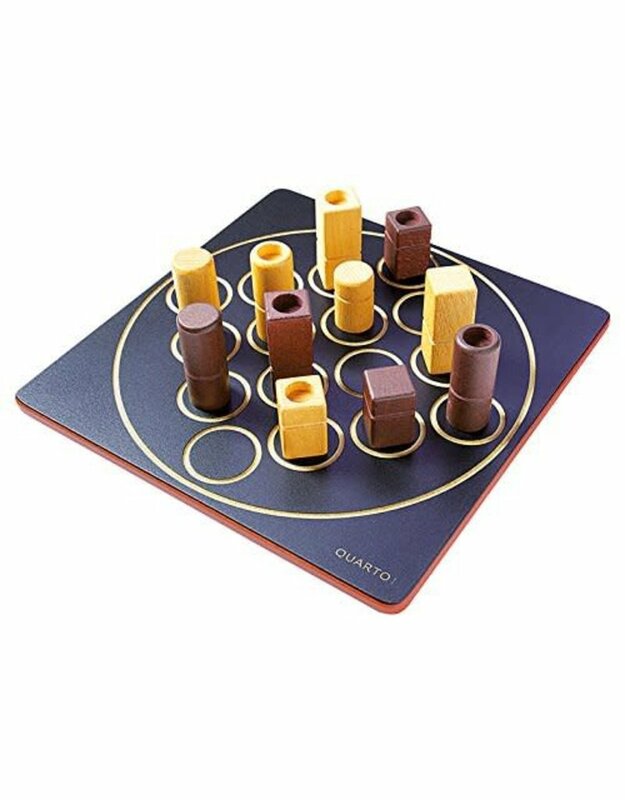 The object is to place the fourth piece in a row so that all four pieces have at least one attribute in common. 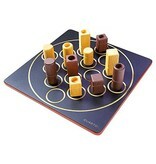 The twist is that your opponent gets to choose the piece you place on the board each turn.